Email Marketing Archives - Accurate List Inc. While email marketing has been losing some field to social network and everything that comes with it, it’s still a pretty useful tool to reach a wider audience and to get very significant results. Therefore, you shouldn’t slack in this particular aspect and try to improve your website in this regard. The option to subscribe must be quite visible in your website to make things easier for your audience; this is a great way to gain much more people in your email list without doing too much. Also, this is another great benefit of keeping a high amount of traffic in your website. If you are promoting a product or a service, have a go at a contest to gain people’s interest and that way you can use the email subscriptions as a tool for the interested to participate. This is a smart tactic because it allows you to reach to far more people and gain subscribers at a quick pace. A blog is a fantastic opportunity to promote your own website, what you offer and your email marketing campaign in a much more free-flowing and friendly manner, so this is something worth taking into consideration. You could also add a plug for people to subscribe to your email list, that way killing two birds with one stone. You cannot always be subtle about it and it is best if you just go through it. Use social media as a way to engage people to follow you on your email and to add them to your list. Social media is the best publicity platform nowadays and you should it as much as you can to improve your brand in every possible way. If you’re a startup and can’t wait for months to collect opt-in email list, you can check with some of the reputed list vendors like Experian, Hoovers, and Accurate List. This is a great way to expand your reach to your target audience. As most of the companies fail to provide the accurate email list, you need to check their accuracy rate, deliverability, open rate, and bounce rate before get their list. Yes, it’s a very school advice, but it’s one you should never forget about. Talk to people about what you offer on your email and make sure they get interested in what you have to say and to do; this is another great way to reach to more people and to establish yourself as a reference in your own field. And the most important advice: go for it! The only way your email list is going to improve is if you try and find ways to reach to more people. This is the key behind every brand’s growth. Never forget, never give up. By this point, you must have heard about email marketing automation. Some people may see this as the “trendy word” at the moment, while others may be taking this seriously, now, what is this and why it is important? Email marketing automation makes reference to a piece of software that allows to automate marketing and selling actions or processes. The scope of the actions may vary, from welcoming your new subscribers to segmenting the potential clients that have gone adrift. Usually, the limits you can reach will depend on the nature of your brand and your creativity. What it is true is that the automation of email marketing makes the repetitive tasks in marketing and selling, to be done with a less effort. According to VB insight, one statement marketers agree on is that the biggest Benefit of automation is that it saves a lot of time. Other benefits include a higher participation of clients (68%), proper communications (58%) and bigger opportunities such as additional sales (58%). Create offers based on actions. Suggest products based on actions. Avoid mistakes when doing follow up. Once you have their email addresses, it’s time to break the ice and bring that new user closer to your product or service, so they can start evaluating if that is the answer to their needs. The welcome email can be a punctual message or it can be a series of different messages that are sent within a few days between one and the other. For example, you could send a welcome email with the offer or gift you had promised to your users in Exchange of their emails first, and then send a tutorial that teaches your new contacts the great things about your product or service. A third email could include testimonies and content generated by the user, encouraging new clients to tell their friends about you, with a discount especially design for them. If your users keep in touch with you after a certain amount of time, it’s time to send them emails for them to improve their knowledge and comprehension when it comes to your product or service. You can include, for example, case studies, blog articles, guides, etc. The frequency of the emails will depend on the nature of your contact list, and sometimes you’ll need to do trials alternating the days and hours you send your emails, to make sure you’re getting the best interaction. For some people, a couple of emails during the week may work perfectly, but for others, the key might be in sending one newsletter every two weeks. Something we must remember is, that even if the user has the intention to purchase or not, the evaluation process is constant. Each and every one of the contact you make with your clients will give them information about you, and this is why it is crucial to take care of the little details. During this phase, is especially important to work in making this relationship with the client stronger. Personalized emails, carefully programmed are details more and more appreciated each time by the consumers. If you appreciate an increase in the number of clicks on the links of your emails, or a bigger interaction in certain pages of your web, you’ll know your contacts are in that exact point of taking the step to conversion (as long as you’re doing your follow-ups properly). This is the perfect time to send them emails that give them the extra push they need. Whether it is exclusive discounts, recommendations based on recent searches, etc. There are lots of possibilities. Your potential customer has finally become a real client. This is where the retention phase starts, where the goal is for that client to become loyal to your brand and recommend you to their friends. The first step is a “Thank you” email, that gives the client the opportunity to share their opinion and evaluate your services. Next, once a little while has gone by, you can encourage your users to share content generated by them, such as pictures or quotes, that will help you reach new clients. 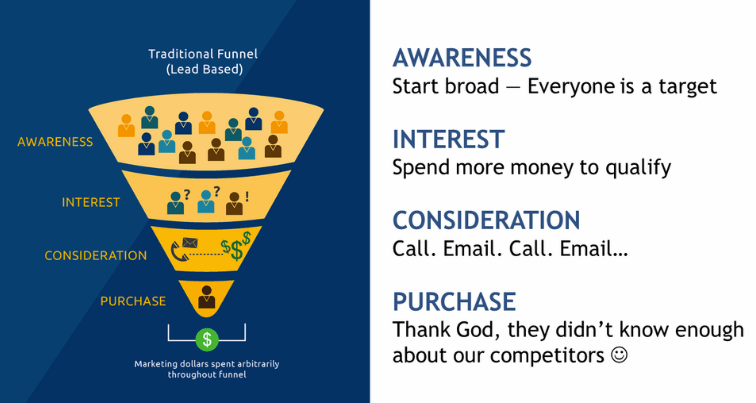 Retaining the users is a crucial part of email marketing, and of the sales funnel of every company as well. The purchase cannot be the end of the relationship, because most likely your client or someone around them will need your product or service later on. Besides, in this phase you can segment your mailing even better, to make your contacts receive campaigns based not only on the interactions and properties of the contact, but also on their relationship with you, and adjusted to previous purchases. Mailing is a trustworthy tool when it comes to conducting clients through the sales funnel to reinforce the relationship with the users, no matter in which phase of the cycle you’re at. Resources and tools that allows automation, segmentation and personalization will give us the chance to stand out in the user’s inbox, to make sure that our emails are unique and unforgettable. 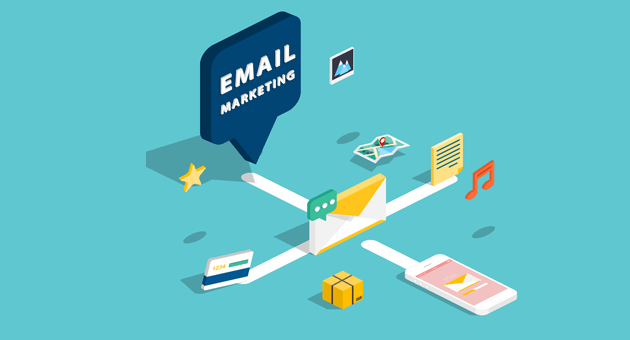 Email marketing is an art form instilled with an ability to propel an organization to success in the most astounding of ways. 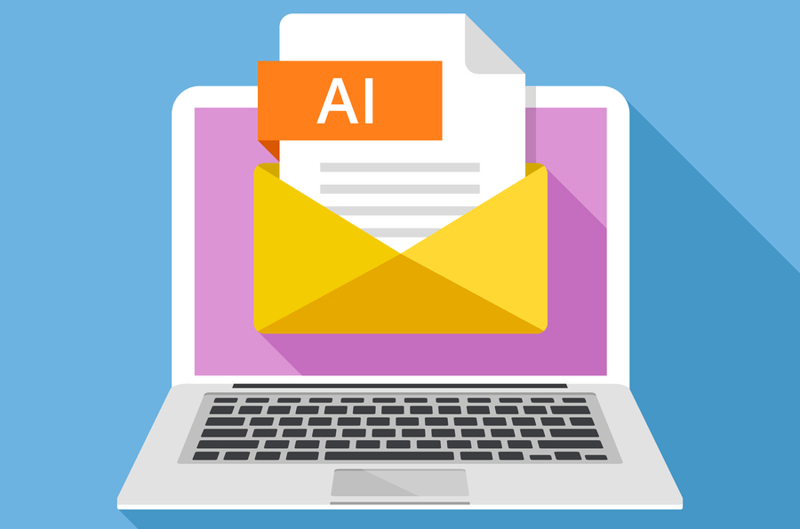 Artificial Intelligence (AI) integrates with the idea of email marketing in order to develop an ultimate solution to all the publicizing needs of the marketers. It is essential for a marketer who dreams of succeeding in the ever-evolving world of technology to acquire a substantial knowledge of AI-empowered email marketing. Artificial intelligence feeds off data and more the data available greater the efficiency of the system. For the companies that dream of transitioning on to the AI-empowered email marketing systems tomorrow needs to take the initiative today and it all starts with the collection, management, and organization of data. AI has the tendency to recognize the needs and requirements of the customer in an effective & efficient way. The majority of the companies aren’t lacking when it comes to the collection of data but the data available at their disposal is rather disconnected & disorganized. The first and the foremost step required to step into the world of AI-empowered email marketing is the proper management and integration of data. AI is an ingenious solution to all the email marketing needs of the marketers though it is recommended that a marketer should never get carried away with it. It is essential to use these technological advancements in a moderate manner and effective way. Without understanding the interests of the consumers, the efficiency of the AI system may suffer and a marketer would fail in quest of achieving the most fruitful results of email marketing. It is pivotal for a marketer to know when and how to use email marketing and moderation is usually the ideal way to go about it. The key is to be moderate & patient with your tactics and focus on the interests of the consumers the most. AI is the technology of tomorrow though there still exist some features which share a strong resemblance to AI in today’s marketing world. Features such as send-time optimization and language algorithm are available for marketers today and these features can certainly rejuvenate life back into the company’s marketing strategies. The correct use of these features can not only increase the productivity of your company today but will also prepare you to make the most of the AI in the forthcoming future. Artificial intelligence will certainly revolutionize the entire concept of email marketing and even though it uses the science of tomorrow the basic strategy of marketing remains unchanged. The primary objective of marketing had always been to be humane as possible and to give the needs of the consumers the utmost importance. AI only extends the basic marketing strategy with the sole purpose of enhancing the overall productivity.